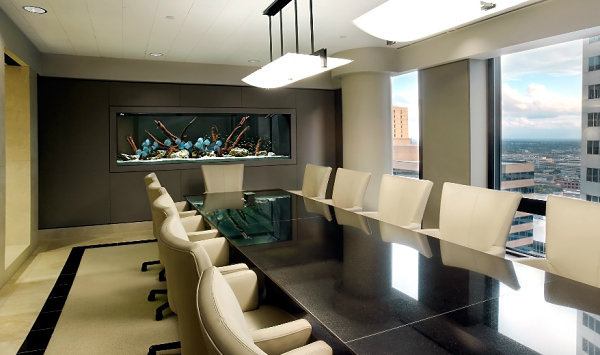 In another conference room image, we see the magic of a lengthy aquarium that serves as an irresistible focal point. If your colleagues’ eyes are staring at the wall behind you while you make your presentation, you will certainly know what is capturing their attention. Image credit to AquariumDesignGroup.com.